Venue : eOneNet.com office, A-36-11, Menara UOA Bangsar KL. KUALA LUMPUR, 10 Mac (Bernama) — Uji bakat Pertandingan Miss Talent International 2018 kini dibuka kepada rakyat Malaysia, dengan pertandingan menawarkan wang tunai dan hadiah bernilai RM200,000. “Ini bukan satu lagi pertandingan ratu cantik kerana kami memberi tumpuan kepada bakat dan kecekapan dalam media sosial peserta supaya pemenang boleh menjadi duta media sosial dan boleh menjadi orang yang dapat mempengaruhi untuk 28Mall dan jenama dan penaja kami,” katanya. Beliau berkata acara utama pertandingan itu ialah pengenalan Anugerah Miss Sosial Media Malaysia yang julung kali diadakan…..
“I was fortune enough to be able to start my own Internet business at the age of 21 & now has grown my business from Malaysia to HK and China, and have launched a new platform 28Mall.com with the target of IPO in the near future. I want to empower more young Malaysian women to be future Online Influencers and unveil their talent. KUALA LUMPUR, March 16 (Bernama) — 28Mall.com, Cross Border Loyalty Rewards platform for Original Brands, held a press conference in MyTOWN Shopping Centre to announce the official opening of the Miss Talent International Malaysia Competition (MTIC 2018), with cash and prizes worth RM200,000. Two winners will represent Malaysia to participate in the Global Finals in HK end of May. 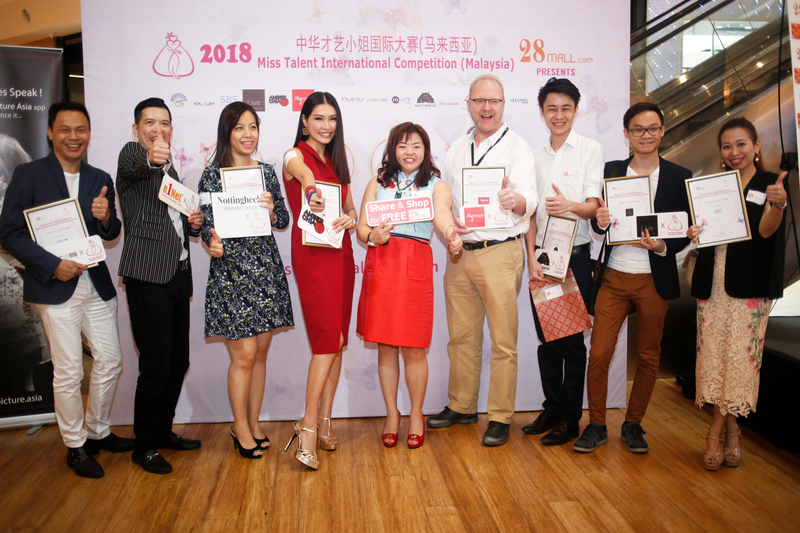 “This is not another beauty pageant as the competition will focus on the talent and the social media savviness of the contestants who will be groomed to be online influencers to enhance their personal branding and grow our local Influential marketing industry,” said Fione Tan, 28Mall.com CEO and Pageant Director. The major highlight of the Malaysia edition competition is the introduction of Malaysia’s first Miss Social Media Award with attractive cash and prizes worth RM50,000 and the winner will be appointed Social Media Ambassador for 28Mall and the sponsors, according to Tan. Sponsors and partners were presented with appreciation certificates, and include 28Mall.com, eOneNet.com, Amber Chia Academy, Exes Studio, Live Picture, SBS Print, Nulnu, NottingHeels, MyTOWN Shopping Centre, Mighty Monster Character Cafe & Bar, and supporting partner Asia Association of Influencer. The first audition was held later in the same venue, with contestants from Selangor, Penang, and Sabah performing singing, dancing and other talents. “I am impressed by the amazing performance of the contestants today. I am confident the Malaysia winners will shine with their talent at the Global finals,’’ said judge Harrace Lau from 28Mall HK. 28Mall.com also announced pre-sale of the Gala Dinner tickets online at www.MissTalentMalaysia.com for May 13 Finals. First 100 purchasers will walk away with gifts & vouchers worth 100% of the ticket price, with Table Sponsors getting free online marketing advertisements worth RM20,000 to build their branding online. Interested contestants can sign up online and the final dateline to enter is 31 March, 2018. All applicants will receive RM600 shopping vouchers from 28Mall.com. KUALA LUMPUR, March 9 (Bernama) — The Miss Talent International Competition 2018 audition is now open for Malaysians, with the competition offering total cash and prizes worth RM200,000. “This is not another beauty pageant as we are focused on the talents and social media savviness of the contestants so that the winners can be the social media ambassadors and key influencers for 28Mall and our brands and sponsors,” she said.